Fashion bloggers Chiara Ferragni, Kristina Bazan, Criselle Lim, Aimee Song, and Leandra Medine share their New York Fashion Week street style and front row looks. 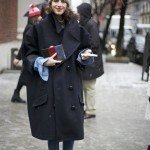 The bloggers attended various shows and sat at the front row at Tadashi Shoji, 3.1 Phillip Lim and others. Chiara Ferragni showed an outfit each day of the week demonstrating designs from Burberry, Rag&Bone and other designers. The blogger showed off more relaxed looks with a neutral coat and light pink Valentino bag, the bright look with a green printed dress, black jacket, and a matching green bag, as well as an elegant look in red coat and cage veil with a black Birkin bag on her arm. Kristina Bazan showed a couple of outfits. One with the two-toned Armani Exchange coat which she paired with a hard case bag and metal toe cap ankle shoe boots and another on with a leopard Zara coat. The third outfit consisted of a black fur coat and a black Fedora. Criselle Lim attended Tadashi Shoji wearing the designer’s blue dress with a Fedora hat and a black leather jacket. She also wore Herve Leger to the designer’s show. 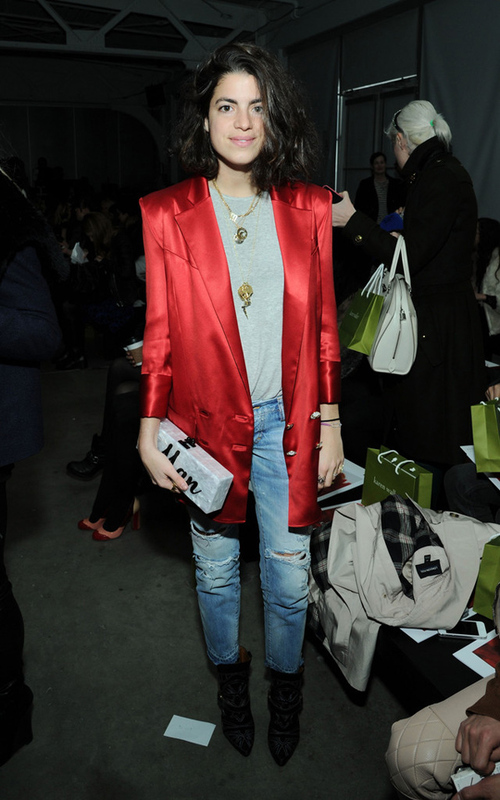 Aimee Song demonstrated several looks as she covered the New York Fashion Week in her blog Song of Style. She wore designs from BCBG, Karen Millen, and others. Jane Aldridge rocked a red plaid skirt and a beret finishing the look with fur collar coat, lacquered boots and bright orange lipstick. Her other outfit cosisted of a white skirt and blouse under a brown coat with the fur collar. 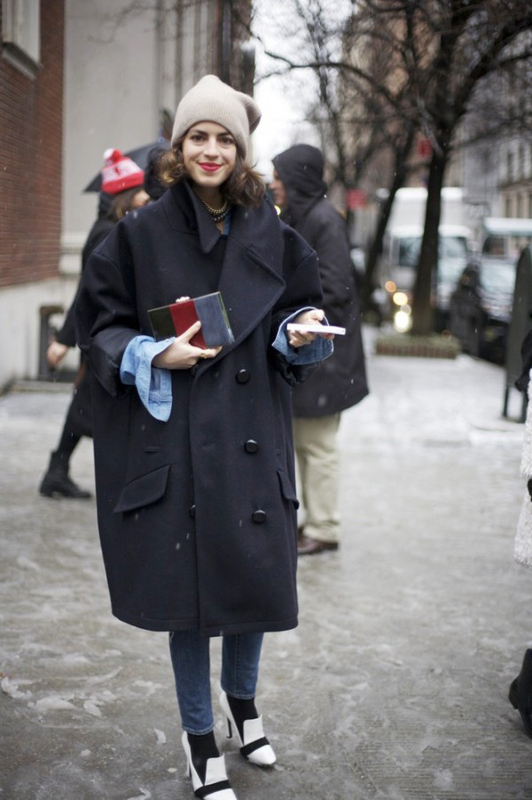 Leandra Medine of Man Repeller blog showed numerous outfits with printed pants and oversize coats. 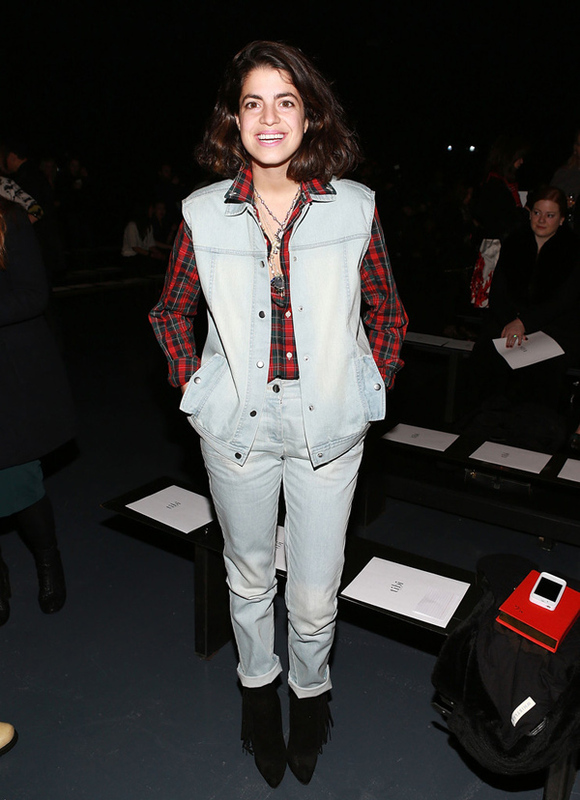 She finished her looks with eye catchy shoes and accessories and beanies.